Energy is the second theme of the Green-Schools programme. Following Litter & Waste, schools work on conserving energy and raising awareness of energy issues in their school and community. Science defines energy as the ability to do work. Energy is all around us, and comes in different forms – heat (thermal), light (radiant), mechanical, electrical, chemical and nuclear energy. We use energy for everything we do, from running to catch a bus to sending astronauts into space! Although there are many forms of energy, most can be put into two categories, kinetic (motion) and potential (stored). The sun’s energy is the primary source of energy for all life on Earth. Energy changes form at each step in the chain. Humans and other organisms use energy to survive (grow, change, maintain health, move, and reproduce). To heat our homes and schools we need an energy source. These energy sources can be categorised as renewable or non-renewable energy. Renewable energy is one that can be easily replenished while non-renewable is one that cannot. Examples of renewable energy include; solar, wind, geothermal, biomass and hydropower. Fossil Fuels are non-renewable and include; oil, natural gas and coal. These are formed under intense pressure and heat over millions of years from the buried remains of plants and animals. Burning fossil fuels releases energy in the form of heat. In recent decades, humans have been burning more and more fossil fuels to meet the world’s energy demands. Burning fossil fuels contributes to acid rain, which is implicated in the loss of wildlife in lakes and rivers, the reduction of land fertility and the destruction of trees. Furthermore, by burning fossil fuels to release heat we are releasing carbon dioxide (CO2) into the atmosphere faster than plants can absorb it. CO2 is a major contributor to the greenhouse effect; as more fuels are burnt, the atmospheric concentration of CO2 increases, causing the average global temperature to rise. Climate Change affects the distribution of climatic regions, sea level changes and ultimately, the planet’s ability to support human communities. 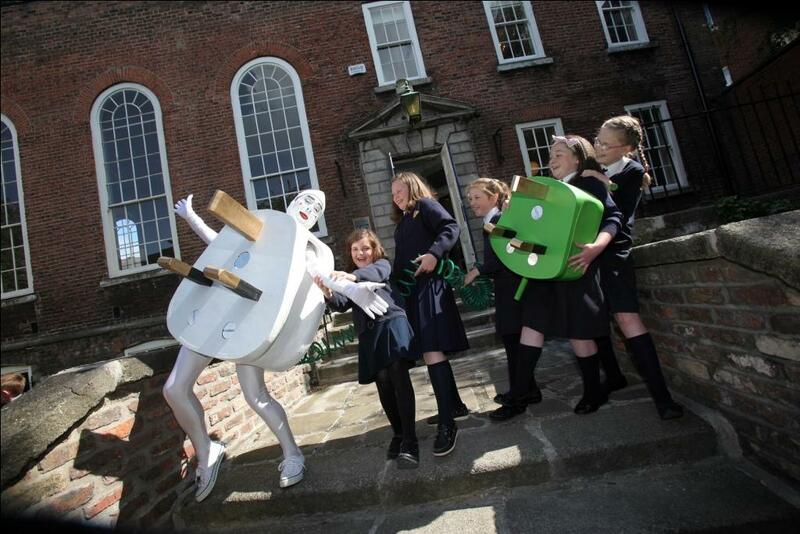 The good news is, there are simple steps we can take to reduce our energy consumption at home and in school. Many of which are simple low and no-cost actions that can be carried out to increase efficient use of energy and help save you money. The recommended temperature for classrooms is 18ºC. Every 1ºC increase in temperature over the above figures could add up to 10% to cost of heating bills. Energy-related CO2 emissions, in Ireland, in 2013 were 20% below 2005 levels. Energy is fundamental to the way we live our life today. Electricity is an amazing resource and should be used efficiently both at home and in school. The following are just a few ideas to get you started and to help you and your school reduce your effect on the environment and help save money too! Turn Off the Lights when no-one is in the room. Put stickers on light switches to remind everyone to turn off the lights at the end of class. Turn Off Appliances when not in use. Remember, leaving appliances on stand-by uses energy so remember to switch them off. Turn Down the Heat! Turning the thermostat down by 1°C can reduce your heating bills by 10%. Check all windows and doors to see where draughts are coming in. If you identify draughts get your parents or teachers to seal them up or get the students to make a draught excluder using old clothes! Turn Off the Taps! A dripping hot water tap wastes energy and in one week wastes enough hot water to fill half a bath, so fix leaking taps and make sure they’re fully turned off!